Different from the cuisine in western world, Chinese people cook food in various ways such as frying, boiling, steaming and stir frying. 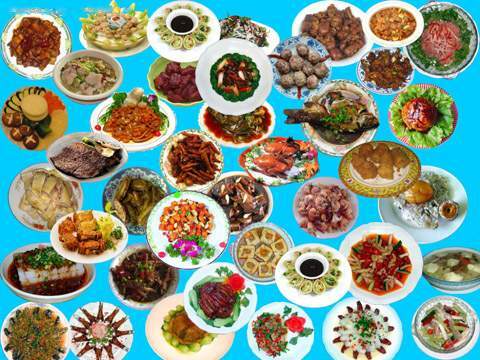 Chinese people put a high premium on the taste, color and smell of food. Chinese cuisine enjoys the same international reputation to that of France and Italy for its scent, taste and design. In the Ming (míng cháo 明朝)(1368-1644 AD) and Qing (qīng cháo 清朝)(1644-1911 AD) dynasties, Chinese literature entered a new epoch. The two dynasties witnessed great achievements in the creation of fiction. 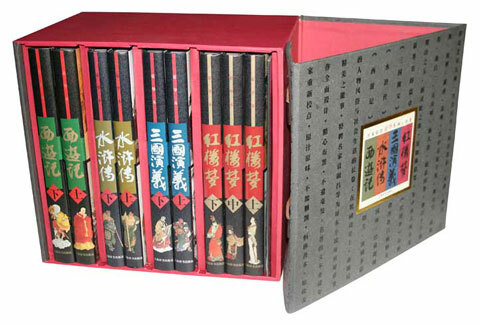 Representative works are the Four Great Classical Novels (sì dà míng zhù 四大名著): Romance of Three Kingdoms (sān guó yǎn yì 三国演义), Outlaws of the Marsh (shuǐ hǔ zhuàn 水浒传), Journey to the West (xī yóu jì 西游记) and A Dream of Red Mansions (hóng lóu mèng 红楼梦). Those works enjoy a high reputation throughout the world. What’s more, they have been adapted for the screen and the stage, winning the favor of global audience. 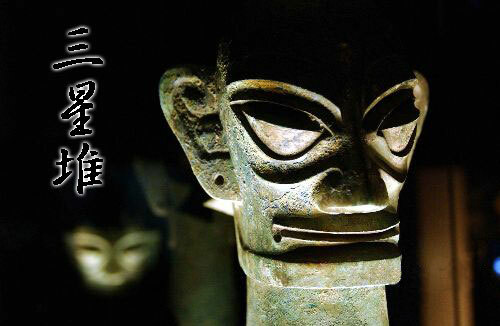 Sanxingdui (sān xīng duī 三星堆), which is situated in Southwest China’s Sichuan Basin, is the location of ruins found dating back to the Bronze Age (qīng tóng shí dài 青铜时代) in the middle and late Shang Dynasty (shāng cháo 商朝) (1600BC—1046BC). The name was given for due to its appearance which resembles three earth pits. Excavation began in 1980. Two large sacrificial pits were later unearthed in 1986, generating great interest internationally. The world, to a great extent, is coming to know China through the chinaware it produced, and the country's porcelain was virtually used as a yardstick in evaluating Chinese civilization. Without the invention and development of fine porcelain, China's history would have been decidedly different. Textile technique (fǎng zhī jì shù 纺织技术) has a long history in China. 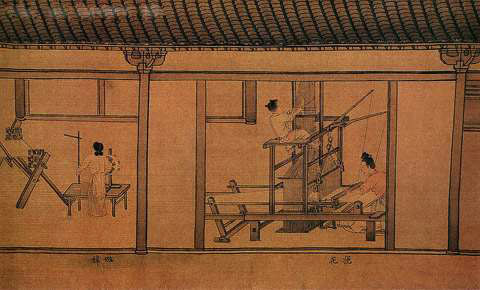 As early as in the primitive society, people in ancient China have taken advantage of the natural resource to make simple textile facilities for weaving so as to adapt to the changeable weather. 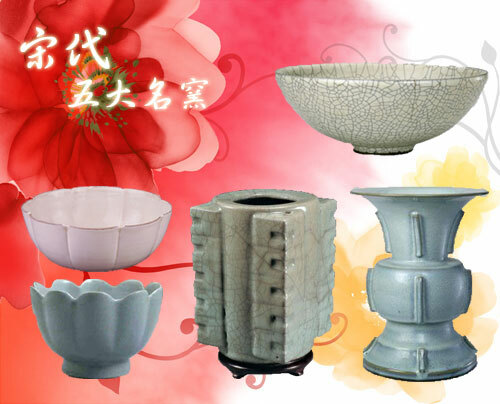 Ding (dǐng 鼎) was a cooking vessel probably used to boil or cook food ancient China. It can be traced back to the Neolithic Age in the primitive society. As early as 7000 ago, there are dings made of clay. 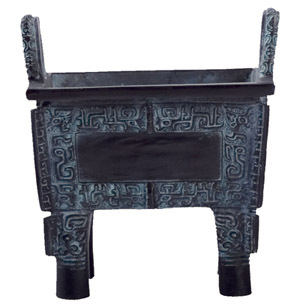 During the Shang (shāng 商) and Zhou (zhōu 周) dynasties, bronze casting technology reached a high level in China. Therefore, people used bronze to cast ding. And the ding was no longer the cooking utensils in common people’s life but an object for important ceremonies to offer sacrifices. It was a symbol of imperial power.